Persia was not Iranian and the Persians are from Turkic origins from the ancient Scythia (now Turkmenistan, Uzbekistan, and Kazakhstan). Anshan was one of the early capitals of Elam from the late 4th millennium BC. Later, in the 7th century BC, it became one of the early capitals of Persia. Achaemenes (/əˈkɛməniːz/) (c. 705 BC – c. 675 BC) was the eponymous apical ancestor of the Achaemenid dynasty of rulers from Persis, nothing is known of the figure behind it, neither from indigenous sources nor from historiographic ones. It may be that Achaemenes was just a mythical ancestor, and not a historical one. Elamite is an extinct language spoken by the ancient Elamites. Elamite was the primary language in present-day Iran from 2800 to 550 BC. The last written records in Elamite appear about the time of the conquest of the Achaemenid Empire by Alexander the Great. Elamite has no demonstrable relatives and is usually considered a language isolate. The lack of established relatives is one reason that interpretation of the language is difficult. 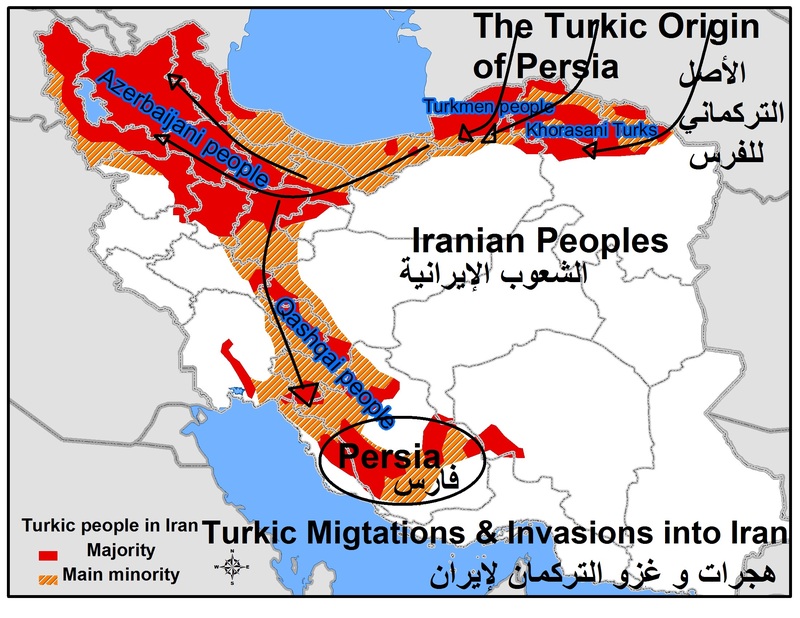 The Persians Are Definitely the Turkic Turanians. The Shahnameh tried to present the Turan as Iranian while it confirms that the Turanians are the Persians. The Shahnameh “The Book of Kings”, is a long epic poem written by the Persian poet Ferdowsi between c. 977 and 1010 CE. It is of central importance in Persian culture, regarded as a literary masterpiece, and definitive of the ethno-national cultural identity of modern-day Iran, Afghanistan and Tajikistan. 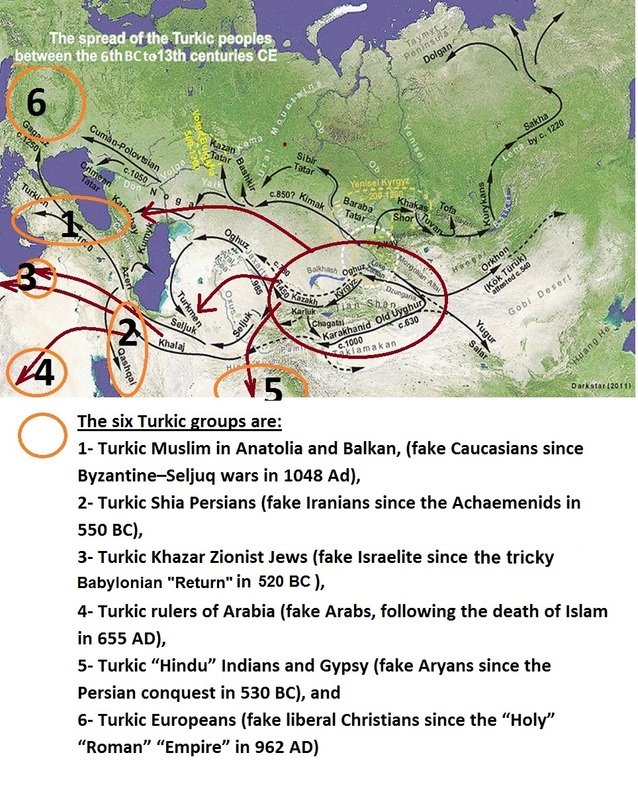 The Turks themselves connected their origin not with Turkish tribal history but with the Turan of Shahnameh. The Ottoman political party of the Young Turks, the Committee of Union and Progress, espoused the notion of Turanism, a mythic glorification of Turkish ethnic identity, and was devoted to restoring the Ottoman Empire’s shattered national pride. Zoroastrian tradition states that Zoroaster was killed by Turanians invading Iran. The original populations in Northwest Iran were the Median people of “Media”. Zoroaster was the prophet of Ancient Iran, whose transformation of his inherited religion, Zoroastrianism, inaugurated a movement that eventually became the dominant religion in Ancient Iran. He was a native speaker of Old Avestan and lived in the eastern part of the Iranian Plateau, but his exact birthplace is uncertain. The religion, Zoroastrianism, was founded by Zarathushtra (Zoroaster in Greek; Zarthosht in India and Persia). Conservative Zoroastrians assign a date of 6000 BCE to the founding of the religion; other followers estimate 600 BCE. Historians and religious scholars generally date his life sometime between 1500 and 1000 BCE on the basis of his style of writing. Some say Zoroaster’s birthday falls on March 26th 1767 B.C.E. Zarathushtra was the first prophet to introduce the concepts of: monotheism, equality, duality of good and evil (struggle between Ahura Mazda and Angra Mainyu), mankind’s free choice between the two alternatives, messianic redemption, resurrection, final judgment, heaven (the word “Paradise” comes from Old Persian), hell and the notion of an almighty, kind, loving and forgiving God. He believed man’s salvation in life and in the afterlife could only be ensured through Good Thoughts, Good Words and Good Deeds. Many of these concepts had a profound influence on Judaism, Christianity and Islam. The basic moral principles that guide the life of a Zoroastrian are three: Humata, “Good Thoughts,” the intention or moral resolution to abide by Asha, the right order of things. Hukhata, “Good Words,” the communication of that intention. Havarashta, “Good Deeds,” the realization in action of that intention. The 10th/11th century heresiographer al-Shahrastani describes the Majusiya into three sects, the Kayumarthiya, the Zurwaniya and the Zaradushtiya, among which Al-Shahrastani asserts that only the last of the three were properly followers of Zoroaster. The Turkic Persians starting from Cyrus the Great corrupted the monolithic religion of Zoroastrianism and replaced it with an antithesis of Magi cult (magic) and they became known as Magus. 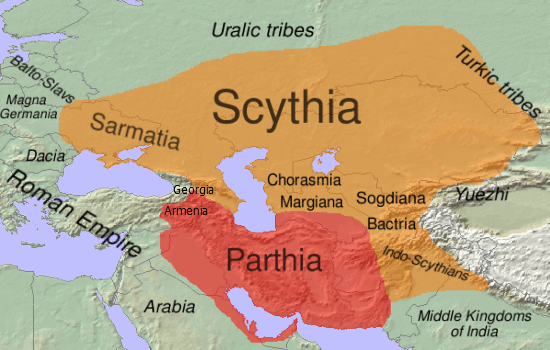 Much like the Roman religion for Rome, it was adopted in differing forms as the generally inclusive overarching state religion of the Achaemenid Empire and subsequent Parthian and Sasanian empires, lending it immense prestige in ancient times. 693 B.C.E. Assyrians Destroyed Susa. The glorious, ancient, biblical and historical city of Susa in Persia was captured and razed to ground by the notorious army of Ashur Banipal. The Assyrians had built a very strong army that ruled over a vast area without any tolerance for other civilizations. Their source of wealth was plundering the weak and not let them regain power. They enslaved many nations including the Jews and the entire Iranian plateau. Assyrians destroyed the Elam kingdom leaving behind an ancient ruin called the Burnt City. This marked the end of 2000 years of Elamite kingdom and the Start of a New Era for the Persian nomads. The beginning of foreign influence in the Aryan Monarch led to Persia. 600–559 B.C.E. Princess Mandana was reportedly a granddaughter to both Cyaxares of Media and Alyattes II of Lydia of the Mermnads dynasty in western Anatolia. According to Herodotus, Mandane was the daughter of Astyages, King of Media and Aryenis (the daughter of King Alyattes of Lydia). The Mermnads dynasty in Lydia was established by Gyges who Bible scholars believe that he was the Biblical character Gog, ruler of Magog, who is mentioned in the Book of Ezekiel and the Book of Revelation. Mandana was not from pure Iranian origins and she could be from non-Lydian descent (she could be of Turkic Cimmerian from her mother’s side). Mandana (Mandane) was a Median princess, daughter of the mighty King Astyages and later, the Queen consort of Cambyses I of Anshan and mother of Cyrus the Great. Queen Mandana is a central character in legends describing Cyrus the Great’s early years. Shortly after Mandana’s birth, Herodotus reports that Astyages had a strange dream where his daughter urinated so much that Asia would flood. He consulted the “Magi” (Court Magician) who interpreted the dream as a warning that Mandane’s son would overthrow his rule. To forestall that outcome, Astyages betrothed Mandane to the vassal prince, Cambyses I of Anshan, “a man of good family and quiet habits”, whom Astyages considered no threat to the Median throne. Astyages had a second dream when Mandane became pregnant where a vine grew from her womb and overtook the world. Terrified, he sent his most loyal court retainer, Harpagus, to kill the child. However, Harpagus was loath to spill royal blood and hid the child, Cyrus II, with a shepherd named Mitradates. Years later, Cyrus would defy his grandfather Astyages, leading to war between them; a war that Cyrus would have lost, but for Harpagus’ defection at the battle of Pasargadae, leading to the overthrow of Astyages, as the dream had forecast. There are references to Mandana’s death as 559 BC; however, as this year is considered the date of her husband’s death (Cambyses I), it is unknown if that is the actual date of her death or when she changed status from Queen Consort to Queen Mother. King Darius the Great named his daughter “Mandana” after her. The history of Mandana ancestry is important to understand her character and motivations. The Greeks of Homer’s time knew Lydia as Maeonia, which was probably an earlier name for the country. Three dynasties are mentioned by the ancient sources; the first is entirely mythical, the second begins with myth but is partly historical, and the third is entirely real. List of kings of Lydia shows that the dynasties were the Atyads (Tantalids), the Tylonids (Heraclids), and the Mermnads. Mandana’s mother (Aryenis) is the granddaughter of Sadyattes 629–617 BC (or c. 625 – c. 600) son of Ardys II son of Gyges of Lydia. Gyges is the founder of the Mermnads dynasty c. 700 BC. Aryenis was the sister of King Croesus (Kroisos) of Lydia 560–546 BC (or 560, 547) who was defeated by Cyrus the Great who is his grandson from her daughter Mandana. Gyges was the son of Dascylus. Dascylus was recalled from banishment in Cappadocia by the Lydian king Candaules and sent his son back to Lydia instead of himself. According to Nicolaus of Damascus, Gyges soon became a favourite bodyguard of King Candaules. According to The Histories of Herodotus, King Candaules bragged of his wife’s incredible beauty to his favorite bodyguard, Gyges of Lydia. “It appears you don’t believe me when I tell you how lovely my wife is,” said Candaules. “A man always believes his eyes better than his ears; so do as I tell you—contrive to see her naked.” Gyges refused; he feared what the King might do to him if he did accept. Candaules was insistent, and Gyges had no choice but to obey. Candaules detailed a plan by which Gyges would hide behind a door in the royal bedroom to observe the Queen disrobing before bed. Gyges would then leave the room while the Queen’s back was turned. That night, the plan was executed. However, the Queen saw Gyges as he left the room, and recognized immediately that she had been betrayed and shamed by her own husband. She silently swore to have her revenge, and began to arrange her own plan. The next day, the Queen summoned Gyges to her chamber. Although Gyges thought nothing of the routine request, she confronted him immediately with her knowledge of his misdeed and her husband’s. “One of you must die,” she declared. “Either my husband, the author of this wicked plot; or you, who have outraged propriety by seeing me naked.” Gyges pleaded with the Queen not to force him to make this choice. She was relentless, and eventually he chose to betray the King so that he should live. The Queen prepared for Gyges to kill Candaules by the same manner in which she was shamed. Gyges hid behind the door of the bedroom chamber with a knife provided by the Queen, and killed him in his sleep. Gyges married the Queen and became King, and father to the Mermnad Dynasty. Internal conflicts & shift of Power. Cyrus the Great (576–530 B.C.E.) defeats the Median king Astyages at the battle of Pasargadae in 551 B.C.E. and becomes the king of both kingdoms. He established the Persian Achaemenid Empire in 550 B.C.E. The Mermnads dynasty of Lydia was defeated and ended by Cyrus the Great (son of Mandana and the grandson of the defeated king of Lydia) at the battles of Pteria and Thymbra. He completely annexed Lydia after the Siege of Sardis. Sasanian Empire (224–651), also called the “Sassanid Empire” or the “Empire of Empires” was founded by Ardashir I, after the fall of the Parthian Empire and the defeat of the last Arsacid king, Artabanus V.
551 Bumin the founder of the Turkic Khaganate declares independence of the Turks around Altai Mountains conquers Ötüken in Mongolian Plateau and takes the title khagan (qaghan). His empire is known as Göktürk (Celestial Turk). 554 Muqan Qaghan becomes the qaghan. After a series of successful campaigns the Göktürks begin to control the Silk Road. 558 In alliance with Sassanid Persia, Istemi defeats the Hephthalites and conquers Transoxania. 568 An alliance with the Byzantine Empire under Justin II is formed after a delegation of the Turks led by Sogdian Maniah arrived in Constantinople to trade silk with the Byzantines. 576 The alliance with the Byzantines ceases after the Byzantines (contrary to their agreement) accept a treaty with Avars, enemies of the Göktürks. The Göktürks seize a Byzantine stronghold in the Crimea. 580 Agathias identifies Burgunds (Βουρουγουνδοι) and Ultizurs as Bulgaric people of Hunnic circle tribes, near relatives of Turkic Cotrigurs and Utigurs. 581 Tardush, the second yabgu in the west lay siege to Tauric Chersonesus in Crimea. 584 Taspar Qaghan dies, civil war breaks out. (Ishbara Qaghan vs. Apa Qaghan) Tardush interferes. The First Perso-Turkic War was fought during 588-589 between the Sassanid Persians and Hephthalite principalities and its lord the Göktürks. The conflict started with the invasion of the Persian Empire by the Turks and ended with a decisive Sassanid victory and the conquest of the Eastern Turks. The Second Perso-Turkic War began in 606/607-608 with an invasion of Sassanid Persia by the Göktürks and Hephthalites. The war ended in 608 with the defeat of the Turks and Hephthalites by the Sasanians under the Armenian general Smbat IV Bagratuni. The Third Perso-Turkic War 627–629 was the third and final conflict between the Sassanian Empire and the Western Turkic Khaganate. Unlike the previous two wars, it was not fought in Central Asia, but in Transcaucasia. Hostilities were initiated in 627 AD by Khagan Tong Yabghu of the Western Göktürks and Emperor Heraclius of the Eastern Roman Empire. Opposing them were the Sassanid Persians, allied with the Pannonian Avars. The war was fought against the background of the last Byzantine-Sassanid War and served as a prelude to the dramatic events that changed the balance of powers in the Middle East for centuries to come. What Are The Differences Between Persia and Iran? Persians are of unknown origins!!!! 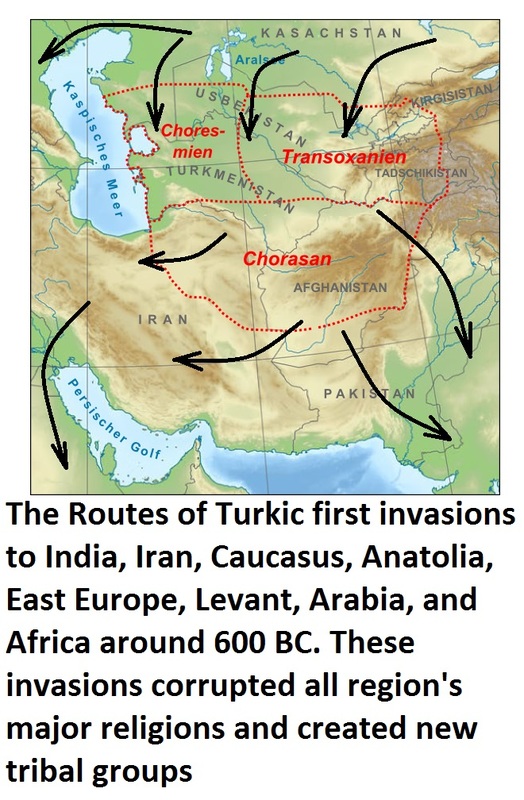 I guess they are ancient Turkic invaders and colonizers of Iranian Balkh (Bactria), Mada (Media), Parsa (Persia), and Parthava (Parthia) from Scythia (now Turkmenistan, Uzbekistan, and Kazakhstan). This means that the Achaemenid empire was not Aryan but Turkic!!!!! The Achaemenid Empire (c. 550-330 BCE), sometimes known as First Persian Empire, was an empire in Southwest Asia, founded in the 6th century BCE by Cyrus the Great who overthrew the Median confederation. 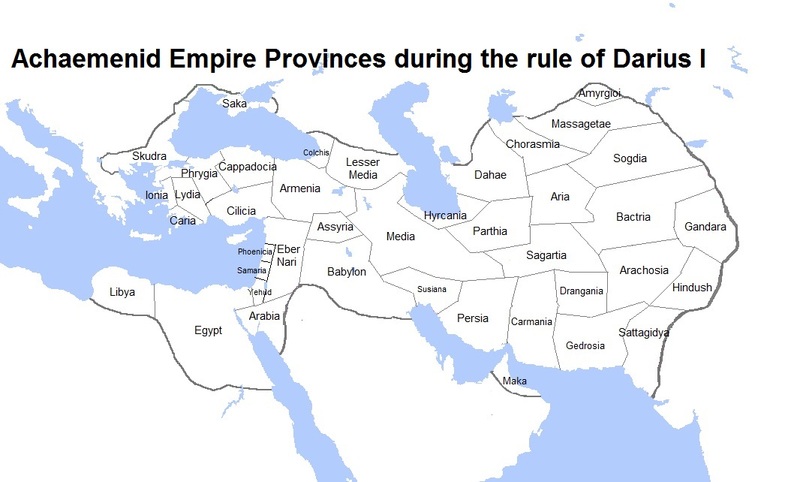 It expanded to eventually rule over significant portions of the ancient world which at around 500 BCE stretched from the Indus Valley in the east, to Thrace and Macedon on the northeastern border of Greece making it the biggest empire the world had yet seen. 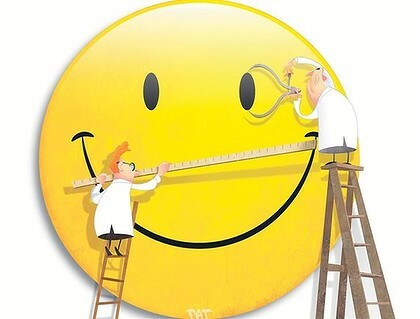 Would you please try to consider this system for measuring happiness in the EU and elsewhere?